Barbeque is a Kentucky specialty. 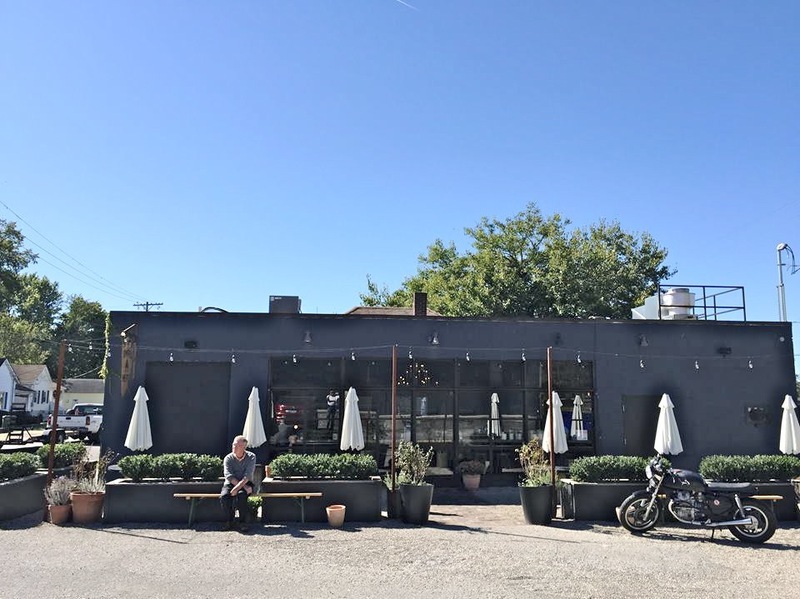 Lexington has five restaurants which specialize in it, several more who offer it as an item on their regular menu, and in good weather you may pass gas stations with portable rigs set up selling it to drivers. 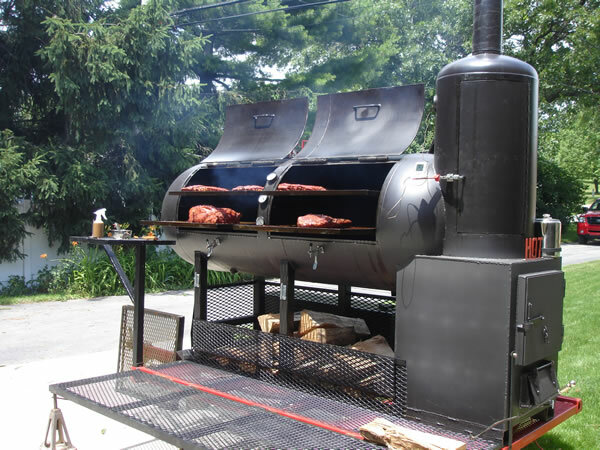 There are regional differences in the way Kentuckians fix their barbeque, and beyond the state there are several more versions across the South, with the most famous being Carolina style and Memphis style. But most Kentuckians prefer Western Kentucky style, from the other side of Kentucky Lake (NOT Owensboro, which produces good barbecue, but not the same kind as further West). The secrets to Kentucky Barbeque are the sauce, the temperature, and the firewood. Everybody creates their own sauce and guards the formula. The temperature needs to hover between 215 and 225 for 5-8 hours. And everybody has their own idea of what wood makes the best coals and what kind of oven best concentrates that heat. 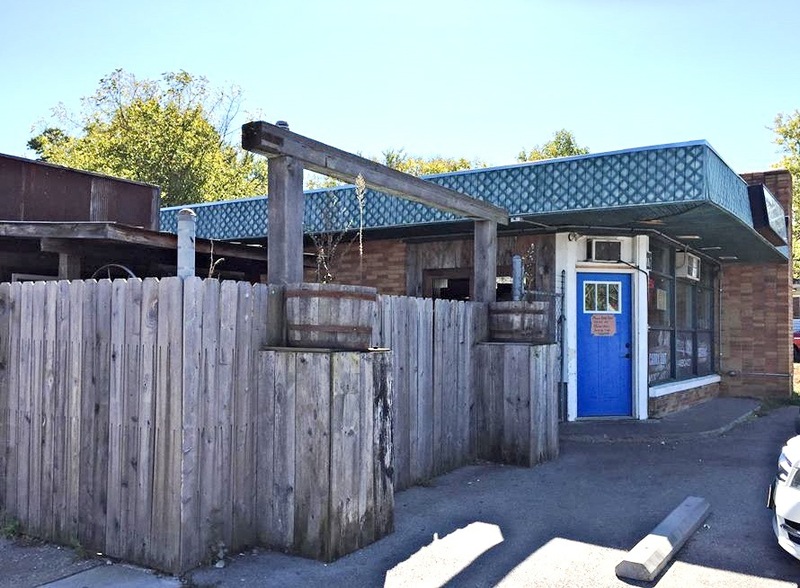 Blue Door, on Walton Avenue between Richmond and Winchester Road, is the smallest BBQ outlet in Lexington. But it does have seven tables inside and has its own neigthborhood customer base. There's even more of a rural ambience here than at most BBQ places, with lots of old wood, blackboard menus and country music. Despite its out of the way location and small size, Blue Door puts out very good barbecue. Their Brisket is their best entree, but the Ribs, Pulled Pork, Sausage and Turkey are all good. There are the usual Sides, but the Collards aren't offered at many BBQ places and are definitely worth ordering. Drinks include Ale 8, Mexican Coke, Nesbitt's Orange and NuGrape. 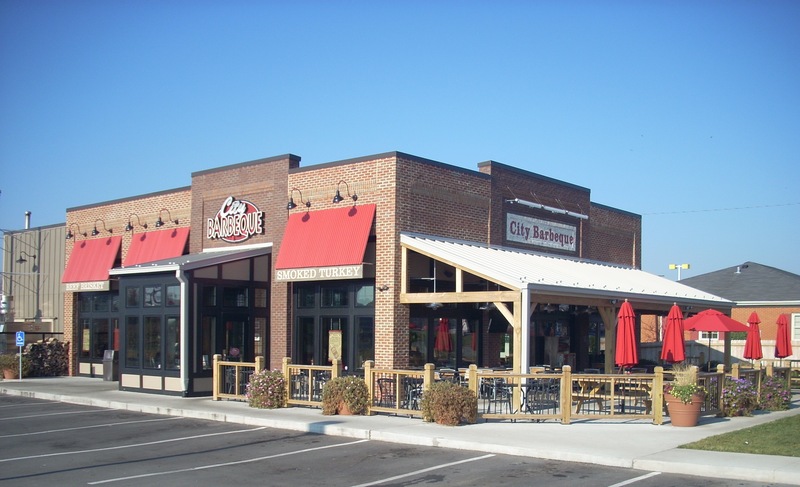 City Barbeque was built as a barbeque restaurant, where the others were gas stations, fast food restaurants or stores. 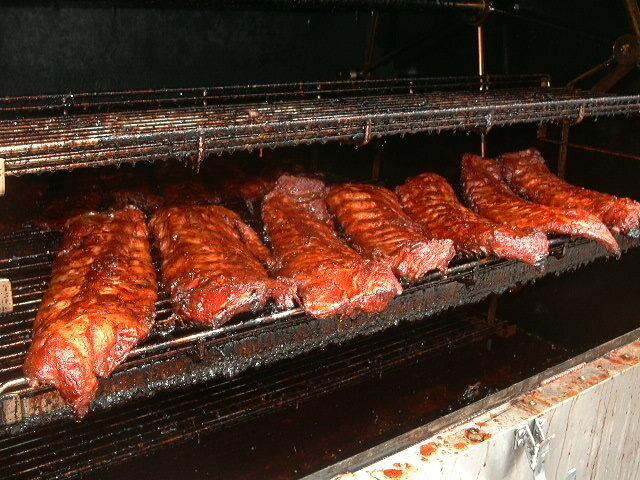 City's strategy is to serve all types of barbeque: Carolina (pork shoulder over hickory with sauce), Memphis (pork ribs with dry rub), Texas (brisket, sausage, beef ribs, salt and pepper rub), St. Louis (pork, grilled rather than smoked, with sweet tomato sauce), and Kansas City (a cross of Texas and Carolina). We also like their Slow Smoked Amish Farm Chicken. You can mix and match in various ways. The Sandwich Sampler includes brisket, pork, turkey or sausage (any three) plus two sides. The City Sampler includes brisket, pork, sausage and turkey plus two sides. If you're starving, there's the Delux Sampler : a quarter chicken, half a slab of ribs, plus pork, brisket, sides, and cornbread. 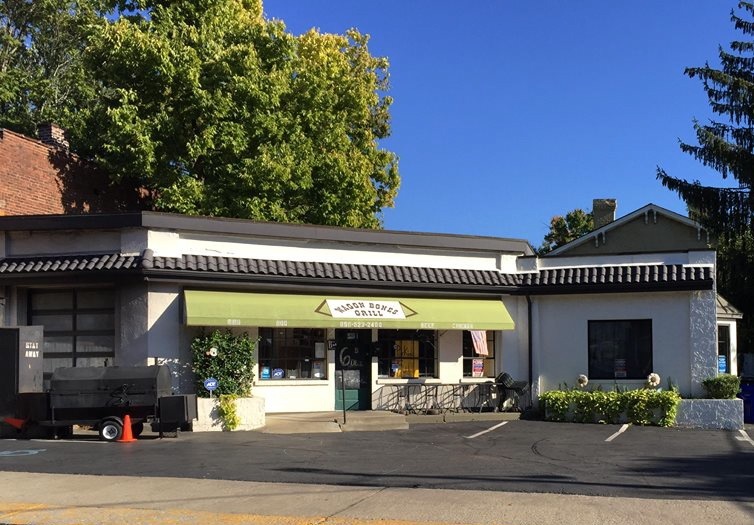 City offers Kettle Brewed Southern Sweet Tea and Cane Sweetened Lemonade. Sides include Green Beans & Bacon, Sweet Vinegar Slaw, Mixed Greens & Pork, Corn Pudding, Potato Salad, Mac & Cheese, Baked Beans, Hush Puppies, and Gumbo. Desserts include Peach Cobbler, Banana Pudding and Triple Chocolate Cake. On Richmond Road at Man of War. County Club is a cutting edge 21st Century restaurant masquerading as a down to earth BBQ joint. 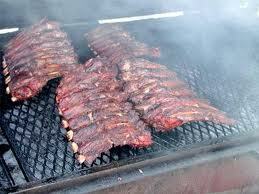 You can find the same meats expertly smoked here as at any of Lexington's other six BBQ rivals. But you won't find the great Salads elsewhere, with their Roast Red Beets, Raw Yellow Beets, Candied Walnuts, Spinach, etc., with an Orange Beet Vinaigrette. Or you can get Cucumber, Green Pepper and Smoked Corn Salad with a Green Goddess Dressing. Some of these vegetables have been pickled in house. They serve Poutine, which is Canadian Cheese Fries. The daily menu changes, so you never know when Pho, Vietnam's famous noodle soup, might show up. There's a lot of basil, bean sprouts, limes and scallions showing up in all these salads and other items. But the meats are unique, too. You won't find Smoked Bratwurst with mustard BBQ sauce and Kraut at the other BBQ spots. Nor the Smoked Chicken wings tossed In Sriracha lime sauce. County Club is at 555 Jefferson Street, the far north end of the street, where it runs into Sixth Street and the restored distillery. There's a great patio with tables shaded by large umbrellas. Inside are wooden slab tables for bad weather. Red State BBQ at the county line on Georgetown Road is not only the best overall BBQ joint in town, it's the best in Kentucky. Others may beat it in one detail or another --- best sauce, best rub, best cut, best Sweet Tea, etc. --- but overall no place beats Red State. Started by a vet, Red State built its clientele among the horse farm crowd, and word of mouth spread from there. Today, at lunch or dinner hour, you can't get in the place, so go a little early or late. Even though booths line the windows, opt for an inside table; the booth benches are poorly upholstered and set too far back, making your meal uncomfortable. No matter what your entrees. someone at your table MUST order the Sweet Corn Muffins, Beer Cheese Grits, Baked Beans, Cole Slaw, Corn Pudding and Green Beans and pass them around. These sides are outstanding, among the best in Kentucky even among elite restaurants. Of the entrees, trophy winners are the Pulled Pork and Sliced Brisket. Rib plates are HUGE. Another MUST order is the Peach Bread Pudding; if you're stuffed, get it to go and eat it at home later. It's one of the state's prize desserts. One of Red State's finest features is that it serves the meat unflavored and you choose the sauce you want at the table. Options include South Carolina Mustard, Texas Spice, North Carolina Vinegar, Memphis Sweet, Red State's Own Kentucky Batch, Alabama Plantation and Buffalo Heat. The advantage is with every bite you can alternate sauces, rather than having your entire entree rubbed, brushed or marinated in one. 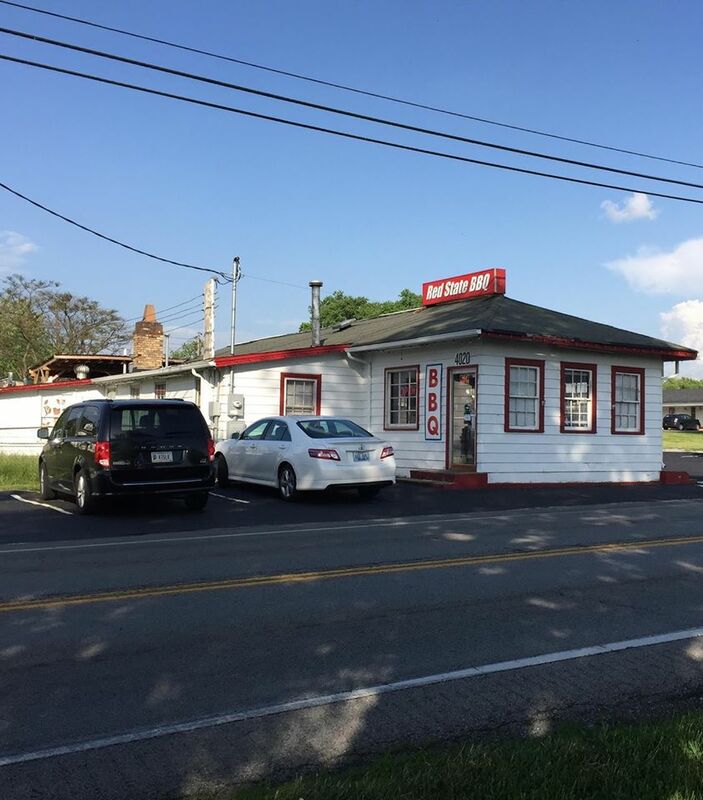 The Wagon Bones Grill is a BBQ restaurant featuring a Western Kentucky spin dry rub. After hours on the open fire pit the pork is juicy, smoky and tender. You get your choice of two sauces : a Pennyrile (vinegar - cayenne - worcestershire) sauce and a tangy sweeter sauce. Their mayo based potato salad is popular. Baked Bean and Coleslaw portions are small. The Cobbler makes a fine dessert. The staff has a curious attitude toward takeout. They don't like it. They want you eating their BBQ in their restaurant and they tell you this several times. They are surely the only restaurant in Lexington which aggressively opposes takeout. We rarely do takeout, but it was entertaining to watch the staff berating customers who wanted their orders to go. The menu is brief. You basically have two choices : Lunch (BBQ & chips) and Dinner (BBQ & two sides).